Culinary temptation is all around you on a cruise ship. Daily specials vie for attention alongside old favourites, speciality dining venues offer extensive tasting menus, and complementary wine pairings are always available. For those with a sweet tooth the desserts are plentiful and often sinful. It's easy to overindulge and, when days are spent in a state of inertia, it's easy to feel less healthy for it. But as fitness, and particularly wellness, become increasingly important in our everyday lives, there is a growing demand for cruise lines to cater to a healthier lifestyle. Newer ships now offer larger gyms with state-of-the-art equipment. 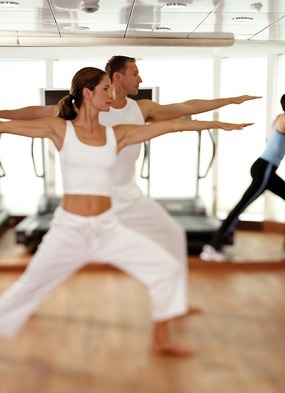 Fitness classes allow guests to continue their regular regimes or even try something new. 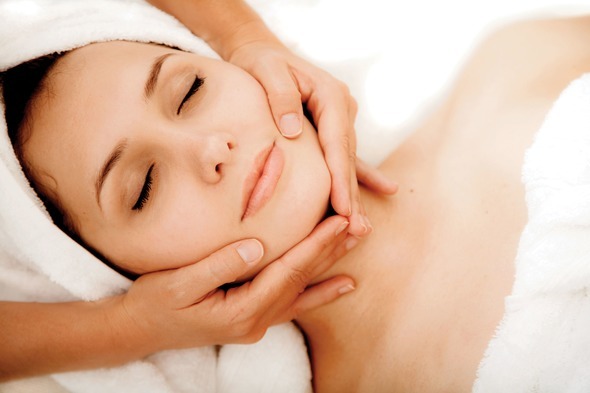 Lavish spas provide a range of treatments and healthy options are increasingly appearing on restaurant menus. 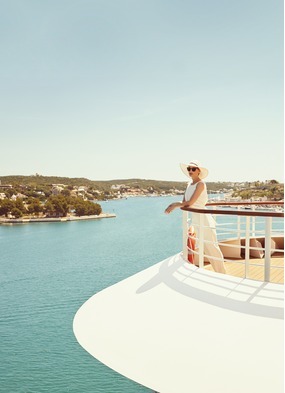 Recognising this trend for wellness holidays, Regent Seven Seas Cruises have recently announced Seven Seas Wellness, a new programme which debuts this summer on Mediterranean sailings aboard Seven Seas Voyager and combines wellness themed excursions with a selection of services offered in the Canyon Ranch SpaClub. The activities (for which there is a supplement) range from a spiritual yoga session overlooking Vouliagmeni Lake in Athens to a Tai Chi class in the garden courtyard of the Pharo Palace in Marseille, with views of the Mediterranean. You can even explore how fragrance can affect emotion at the Museum of Palazzo Mocenigo in Venice, where there is the opportunity to create your own personal perfume to take home. 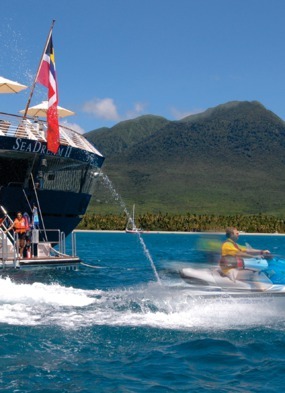 All these complement the superb fitness facilities that Regent offer on board. The Canyon Ranch fitness experts lead popular complimentary exercise classes, such as Pilates, yoga and aerobics, and are on hand to offer advice and demonstrate the use of the fitness equipment which includes Lifecycles, free weights, striders, StairMasters, treadmills, weight benches, a Nautilus machine, workout mats and step benches. It is also possible to arrange tailored one-on-one training with a fitness instructor for those who are happy to pay for a more personalised regime. Outside the gym there's paddle tennis and a full-circle jogging track. Healthy dining options have also been expanded with a larger breakfast bar at the Pool Grill offering an array of healthier items, from low-fat yoghurt and homemade muesli to a selection of exotic fresh fruits sliced or turned into smoothies. At dinner, guests can also choose Canyon Ranch Balanced Selection appetisers, entrees and desserts, for a flavourful and nutritious alternative to the regular options. 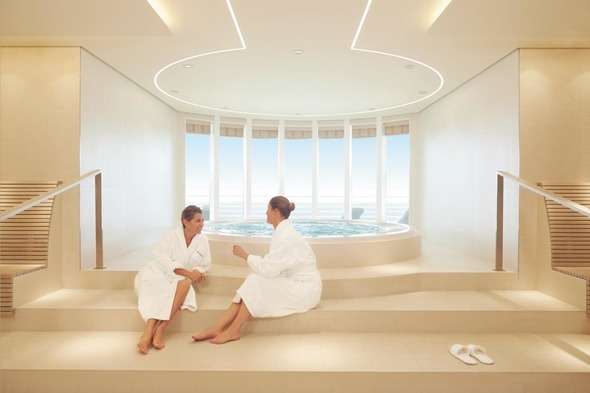 Regent aren't the only cruise line to turn their attention to wellness. Hapag-Lloyd have just introduced a new IN2BALANCE programme on selected 2017/18 sailings where renowned coaches and trainers will present innovative training methods, nutritional science and relaxation techniques. Crystal Cruises even offer jogging excursions, where a guide will lead a group and point out various landmarks in a handful of cities in Northern Europe. So if you'd like to maintain your healthy and active lifestyle, or just work off some of the sins you've accumulated on board, then there are plenty of options available. You never know, your cruise might even be an opportunity to start a new fitness regime to continue at home. Health and Wellness: The future of cruising or passing fad?